I just got a new dessert cook book and am totally excited!! Most of the desserts are pastries, which is one of my main interests. Something I’m not very experienced in baking, but one of my all time dreams is to go travel around Paris and spend like a whole week doing nothing but sampling pastries. So this dessert is like a traditional pastry. Not overly sweet, but really just right. The crust is to die for. The mousse was good, but the crust is what I couldn’t stop eating. I found myself scooping out the mousse just to eat the straight crust. A quick hint to help your crust not get soggy is after your crusts cools, brush a thin layer of melted white or dark chocolate onto the crust before filling with the mousse. You want to brush about half way up the side and cover the entire bottom so the chocolate is everywhere that the mousse with be. Just make sure to let the chocolate completely set before you add the mousse. Also, when you are making the filling, save the gelatin and water till right before you add it to the strawberry mixture. The recipe says to do it like half way through and then add it at the end of making the filling, but when I did this my gelatin and water turned into jello. So do this step right before adding it so that is doesn’t set while you are finishing up. Other then that, this dessert is really fun and way delish!! Enjoy! Pastry: Lightly grease a 10-inch (25-cm) tart pan with removable base. Beat the butter and sugar in a medium bowl with an electric mixer on medium-high speed until pale and creamy. Add the egg yolks one at a time beating until fully combined. 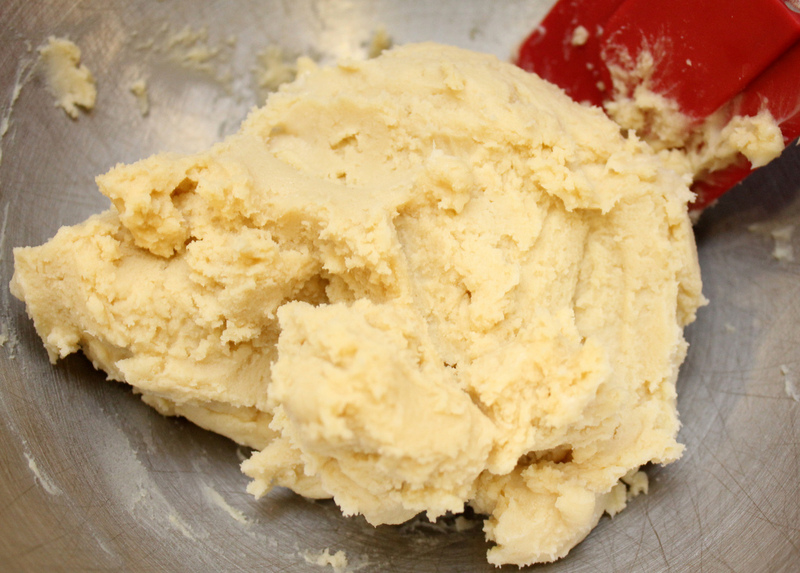 Mix in the flour and enough water to bring the dough together. Shape into a ball, cover in plastic wrap (cling film), and refrigerate for 1 hour. Roll the pastry out on a lightly floured work surface to 1/4 (5 mm) thick. Line the prepared tart pan with the pastry and trim the edges. Cover and refrigerate for 30 minutes. Preheat the oven to 350 degrees F (180 degrees C/gas 4). Cover the pastry case with parchment paper and fill with baking weights, dried beans, or rice. Bake for 15 minutes. Remove the paper and weights and bake for 5 more minutes until golden brown. Filling: Place half the strawberries in a food processor and blend until smooth. Strain through a fine mesh sieve into a small saucepan. Place over medium heat and bring almost to a boil. Set aside. Put the boiling water in a small cup, sprinkle with the gelatin, and stir until dissolved. Beat the eggs, egg yolks, sugar, and vanilla in a medium bowl with an electric mixer until pale and creamy. Gradually pour in the hot strawberry puree, beating until combined. Return the mixture to the pan and stir over low heat until thickened slightly. Remove from the heat, add the gelatin and stir to combine. Pass the strawberry mixture through a fine mesh sieve into a medium bowl and refrigerate, stirring occasionally, until cooled, about 30 minutes. Whip the cream in a small bowl with an electric mixer on high speed until soft peaks form. 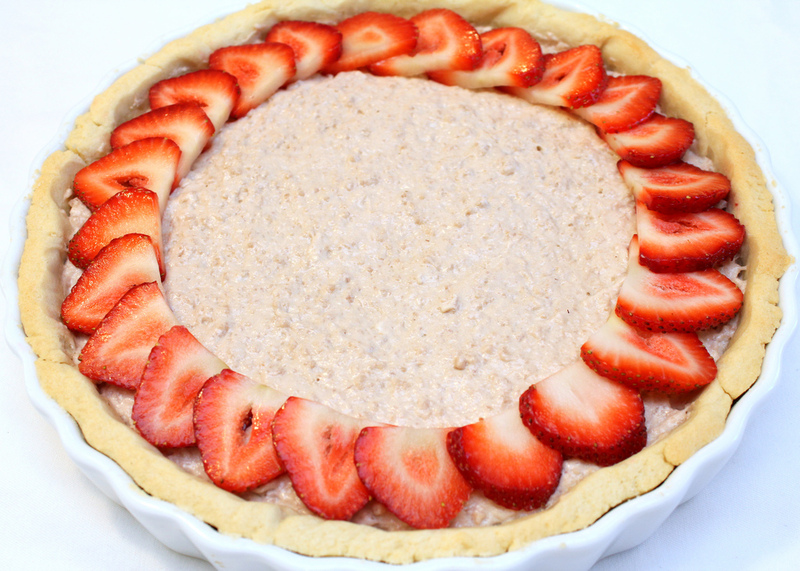 Fold the cream into the cooled strawberry mixture and pour into the prepared tart case. Slice the remaining strawberries and arrange decoratively around the top of the mousse. Refrigerate until set, at least 2 hours. 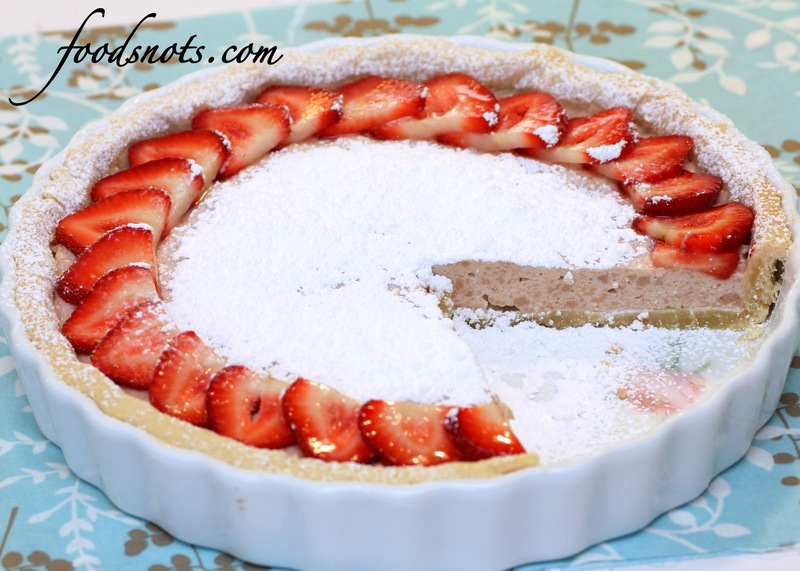 Dust the tart with confectioners’ sugar and serve.